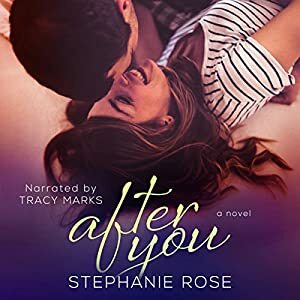 After You is the final interconnected Standalone novel in the 3 book Second Chances Series. After You is the only one in audio format. Because of this, I ask you take this review with a grain of salt. The characters, specifically Jack, probably carry more weight and meaning to those that have been reading this series. To me, I have just met them, so they are not as dear to me as they may be to others. 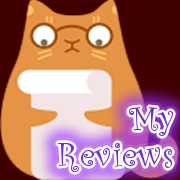 If I have the chance to read all the other interconnected stories I will update this review. As it stands though, I have to review this with what I got. Ellie Taylor is a widow with a young son. Her husband, Jack, died a few years ago, and despite his personal requests for her to move on after he was gone, she is finding it hard to do so. Jack knew he was leaving this world and that he would be leaving behind both a young wife and son. He wanted to make sure she wasn’t left to live out the rest of her hopefully long life alone. At the start of the book Jack has passed already, but he has left letters with a friend to be delivered at strategic times in the lives of the loved ones he left behind. Between these and the memories of those still alive, it is as if Jack is still present. His letters are definitely heart string pulling. Nick, our hero, tries really hard to make a relationship work with Ellie, but she does not make it easy. He gives it a valiant effort, but she fights far too hard. Ellie’s over-determination to not move on frustrated me. To me, the story is way emotional from the first page and could of done with less running from Ellie and still be just as emotional. All of Ellie’s angst wore me out be the end. This was my first read by Stephanie Rose. This story is very emotional and the writing captures all the heart wrenching woes. I tend to pace myself on these types of stories. My tender heart bleeds easily. I definitely need a happy palate cleanser story after this intense emotional ride. Tracy Marks captures every tear jerky, gut stabbing moment this book has to offer. She is an asset to the angst and woe. I give this book a 4. It evokes the emotions the writing is aiming for. If you like the deep feels kind of books, you will love this. If that kind of book takes a toll on your heart like me, then have a light happy story on standby to read/listen to afterwards.